are crafted out of solid maple wood. 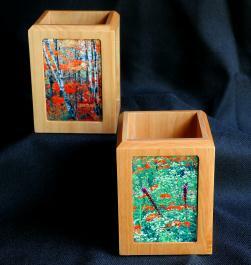 Each pen/pencil holder features four beautiful Wisconsin scenes on photo tiles. Beautiful from any angle.